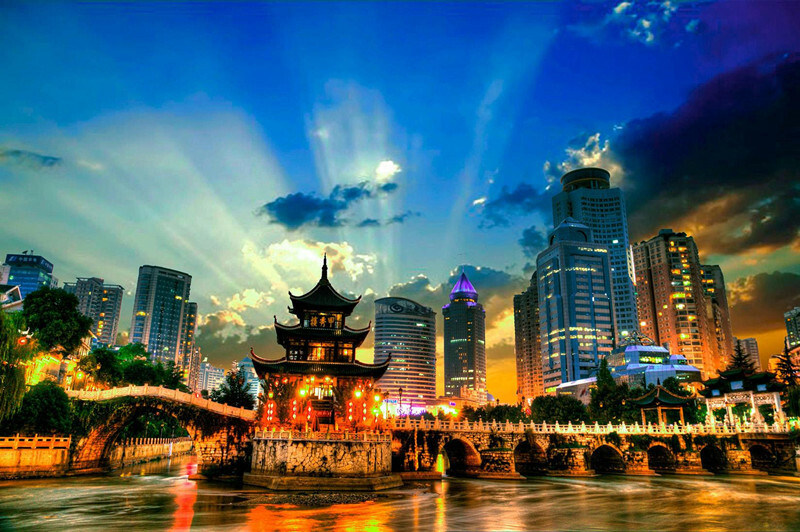 Located in southwest China, Guizhou Province(贵州省) is bounded by Sichuan and Chongqing in the north, Yunnan in the west, Guangxi in the south and Hunan in the east. 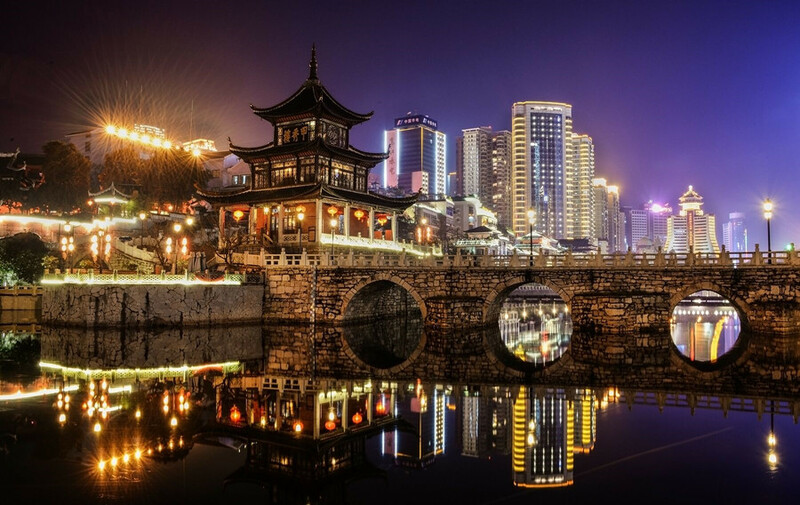 Guizhou, literally means “precious land” in Chinese. 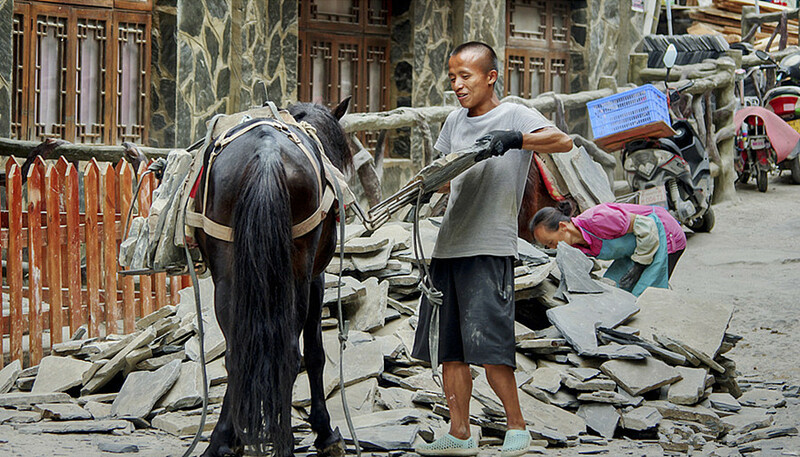 What such a ironic name it is for a province that is regarded as one of the poorest in China! 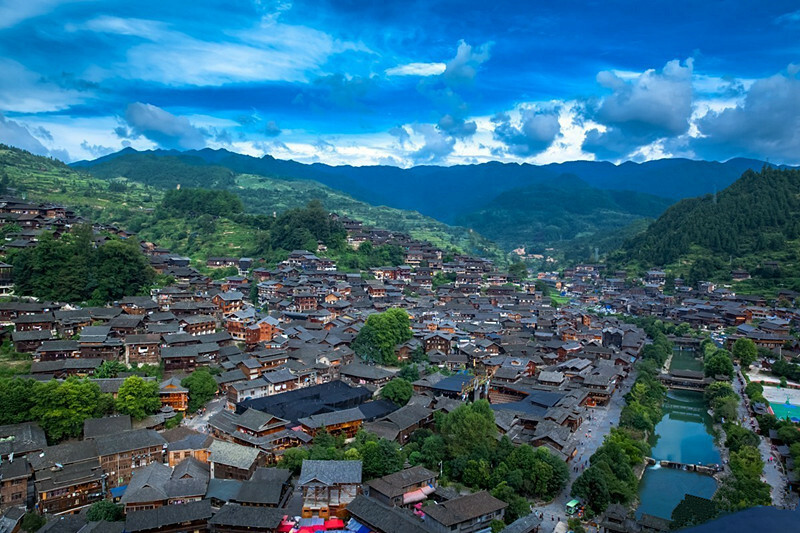 But brimming with dramatic landscapes, rich in minority culture and diversity in ethnic folk festivals, Guizhou is absolutely an amazing destination that should be list on any traveler’s itinerary. Many Chinese minorities have been living on this land for centuries. Visitors who travel there can not only enjoy all kinds of scenic spots, but also discover rich and unique folk customs and cultures of different ethnic groups. Breathtaking Scenery: Guizhou is one of the most typical karst landforms in the world, with the most bright and colorful karst landscapes. Famous scenic spots are Huangguoshu Waterfall, Chishui Danxia Landform, Zhijin Cave, Hongfeng Lake(红枫湖), Mountain Fanjing, Site of the Zunyi Conference, Qingyan Ancient Town, etc. 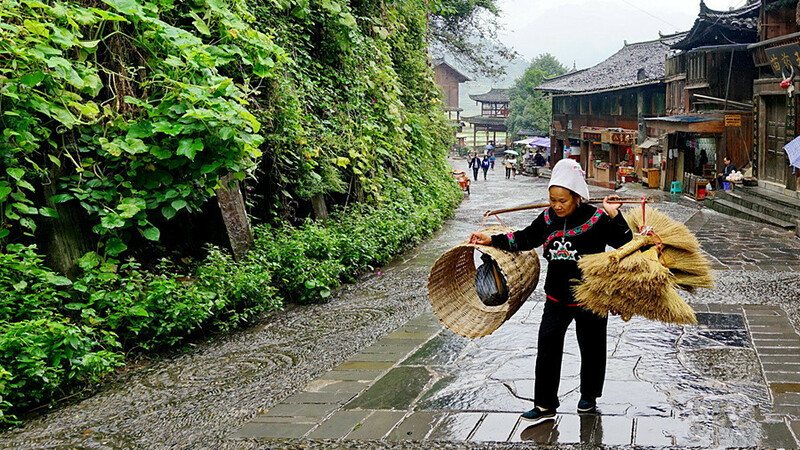 Ethnic Culture: Guizhou province is home to 48 ethnic groups in China, among which there are 18 long-dwelling peoples including Han, Miao, Buyi, Dong, Tujia, Yi, Gelao, Shui, Hui, Bai, Yao, Zhuang, She, Maonan, Man, Mongol, Mulao and Qiang. Each ethnic group has its own unique customs and culture. 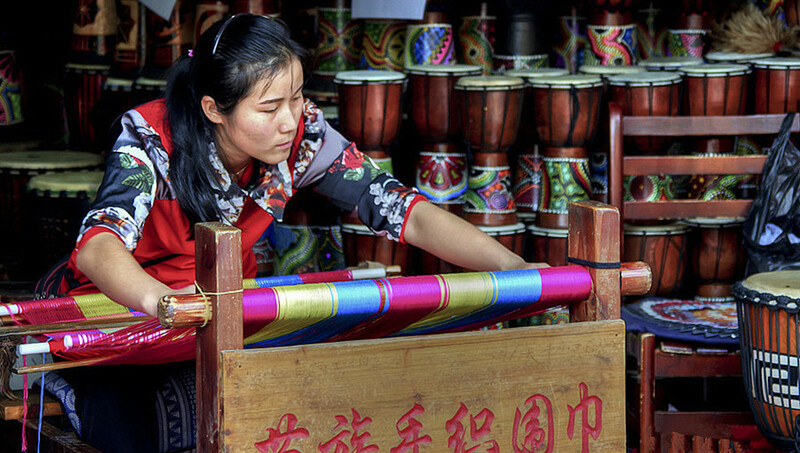 Miao Paper-cutting Culture: Miao paper-cut is commonly known as “flower paper”, “flower cutting”, “embroidery paper”, which means “animal paper-cut” and “flower paper-cut” in Miao language. 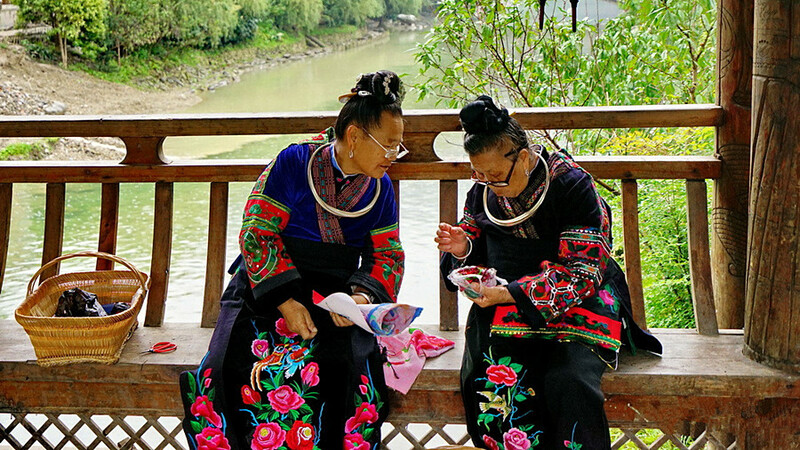 Miao paper-cut in Guizhou is different from the paper-cuts of Han and northern minorities, its main use is as Miao clothing embroidery patterns. 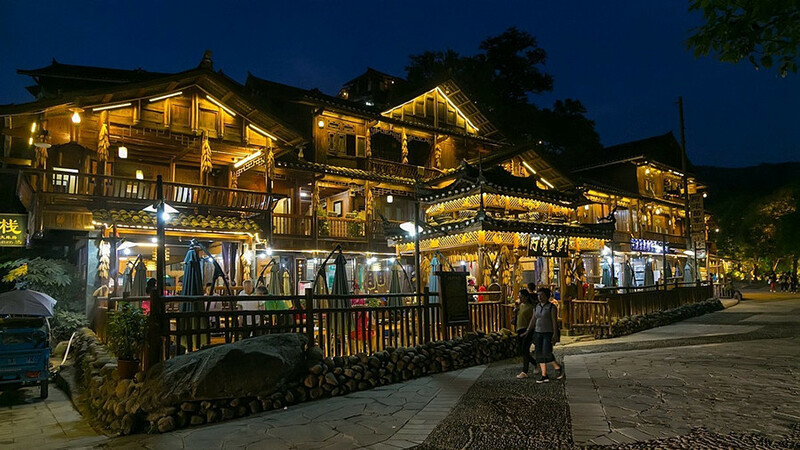 Guizhou Food: Guizhou food is composed of several flavors, such as Guiyang cuisine, Qianbei cuisine and ethnic minority cuisine. In the early Ming dynasty, Guizhou cuisine tended to mature, with many dishes dating back more than 600 years. Sour food is a feature of Guizhou cuisine.